Our pets need good quality organic fruits and vegetables. Dogs are omnivorous, meaning that they eat meat, and their bodies derive nutritional benefits from certain fruits and vegetables. Cats are carnivores, but they benefit from a diet supplemented with certain plant sources of food. Like humans, animal companions have evolved with very specific nutrition needs, especially young ones with their growing and developing bodies. Keeping your young animal companion healthy means you must be sure to provide a quality source of kitten food or puppy food designed to meet their basic needs. To provide your animal companions with healthy plant food sources, a garden is a great way to do that. You will have so much fun planning and planting it. 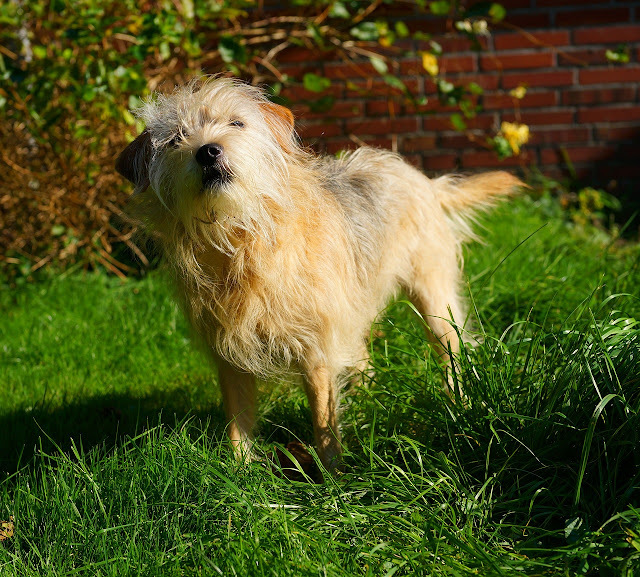 When the plants are ready, turn your dog or cat loose in it and let them graze it just like they would in nature. It will be fun and healthy for them, and so much fun for you to watch them enjoying themselves. If you already have a garden plot, all you have to do is install plants that are beneficial for your animal friends, and remove any that may be toxic to them. Make the garden as large as you like. Think of the produce you grow as healthy treats for your dog or cat. Treats should make up no more than ten percent of their diets. Also, some plants are not good for dogs or cats, such as tomatoes, so consider creating a separate garden area for those items. (That said my Labrador retriever is indiscriminate when it comes to food. She makes a beeline to the cherry tomatoes, pulls the plan out of the ground, and gobbles the entire thing, leaves and all.) If you do not have enough yard space, you can make a container garden. When you grow a pet friendly garden, use organic products as much as possible. Organic compost and fertilizers are best. Avoid pesticides and chemicals. You can find organic pesticides made with herbal oils and natural ingredients. You can also make your own with dishwashing soap. Many gardeners start with seeds. In this garden, however, you will do better if you start with plants, the larger the better. You can find them in the garden center of any big box store. Use tomato cages or other protection around them if needed to keep your dog off of them until they are mature. Make paths through the garden with paver stones, large gravel, or other hard materials to deter your dog’s digging. Consider carefully what plants you will grow. They ripen at different times of the year, so plan carefully to have something good ready to pick all the time. If you let your dog or cat roam through the garden buffet style, be sure you supervise how much they are eating to avoid digestive upset later on. If they are gorging on anything, you need to step in! · Sweet potatoes – one-half or one small potato, preferably cooked. · Broccoli – one or two florets. · Carrots – one carrot. · Cauliflower – one or two florets. · Green beans – one or two beans. · Peas (any kind with edible pods) – one or two pods. · Brussel sprouts – one or two sprouts. · Celery – one stalk. · Cucumbers – one or two slices. · Blueberries – about 12 berries. · Squash such as zucchini or yellow squash – about 1 small squash. · Strawberries – one large. Avoid onions, garlic, grapes, raisins, avocado, mushrooms, eggplant, rhubarb, potato stems and leaves, tomatoes. These are highly toxic to your dog even after they are cooked. If the dog consumes enough quantities, some can even be fatal. Add a couple of fruit trees. Apples, peaches, pears and bananas are suitable for your dog in limited amounts. (My Lab loves to stand on her hind legs to pick low-hanging apples and pears). As a final touch, consider adding a patch of wheatgrass, too! Pet Wellness Advisor is a website devoted to helping people with their animal companions by providing neutral, fact-driven research on the most important aspects of caring for an animal. It contains lots of good information about dog and cat food, pet products, and care and training along with numerous links to a wide range of animal care resources.